This beauty, owned and shown by ??? ?, attracted photographers with its beautiful preparation and its shiny silver paint. These cars were super-advanced for the early 1950s and dominated production racing in the USA until the Corvette V8s found their legs. 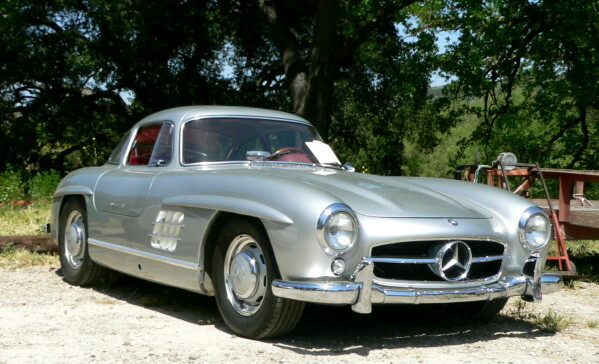 Peter Culkin raced his 300SL in California into the early 1960s.